Hanna Deringer is a Senior Policy Analyst at ECIPE with a focus on trade policy matters. Her work covers different trade policy areas, including bilateral/regional trade agreements, multilateral trade relations at the WTO, sectoral trade policies, regulatory trade barriers and regulatory cooperation. She has a particular research interest in CGE modelling, non-tariff measures (NTMs) and rules of origin (RoO). In her previous work, she also developed a strong interest in trade relations with and between developing countries (EPAs, regional economic communities) and how trade can contribute to their development. Before joining ECIPE, she worked at the German Agency for International Cooperation (GIZ) in the field of private sector development and economic policy. She collaborated in the planning and review of development projects providing technical assistance in the fields of trade promotion and regional economic integration. She participated in project missions in Sub-Saharan-Africa, South Asia and Latin America. 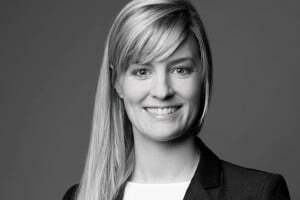 Hanna holds a Master’s degree in International Law and Economics (MILE) from the World Trade Institute (WTI) in Bern, which is focused on the law, economics and political economy of international trade. Prior to that she had also earned a Master’s degree in International Cultural and Business Studies from the Universities of Passau, Limerick and Granada.